Our dispatch office works 24/7, 365 days. Our mission is to provide the best rides with affordable rates. Safety is our first priority and our well trained chauffeurs drive safe and give smooth rides. Our taxis are insured.We also have 1 million dollars allocated for insurance. Our drivers are all welcoming, skillful and honest with no DMV issues. All vehicles undergo safety and meter inspections. We accept both advanced reservations and same-day bookings. North County Cab serves such places as Carlsbad(92008, 92009), Encinitas (92023, 92024), Cardiff by the Sea (92007), Pacific Beach (92109), Carmel Valley(92130), Solana Beach (92075), Del Mar (92014), Rancho Santa Fe (92067, 92066, 92091), and La Jolla (92037-92039, 92092, 92093). 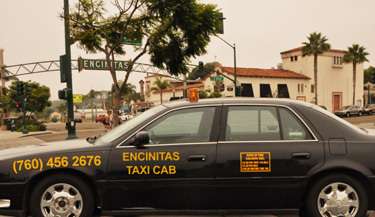 This entry was posted in Airport Taxicab Service, Encinitas Airport Taxi 92024, Encinitas Taxi 92024 and tagged 92008 airport taxicabs, 92009 airport transportation, 92024 airport taxi service, 92024 cab, 92067 taxicabs, airport taxi 92014, airport taxi 92024, airport taxi 92075, airport taxi 92130, airport transportation in encinitas, anytime taxi service, cab 92008, cab in encinitas, car services, carlsbad airport car service, Carlsbad Airport Taxi, Carlsbad taxi, Carlsbad taxi airport transportation service, Carlsbad taxi service, carlsbad taxicabs, carmel valley airport taxi, carmel valley to san diego airport, del mar airport taxi, del mar taxi, Encinitas Airport Limo, Encinitas airport transportation service, encinitas taxi, encinitas taxi cabs service, Encinitas taxi service, encinitas taxicab, encinitas town car service, rancho santa fe airport transportation, Rancho santa fe airport transportation service, Rancho santa fe taxi airport, San Diego Airport Taxi airport taxi 92014, San Diego Airport to carlsbad, solana beach taxi, sorrento valley airport taxi, Taxi 92007, Taxi 92008, Taxi 92009, Taxi 92011, Taxi 92024, Taxi 92067, taxi 92130, taxi in encinitas, taxi service 92009, taxi service 92024, taxicab 92067, taxicabs 92009, taxicabs 92010. Bookmark the permalink.